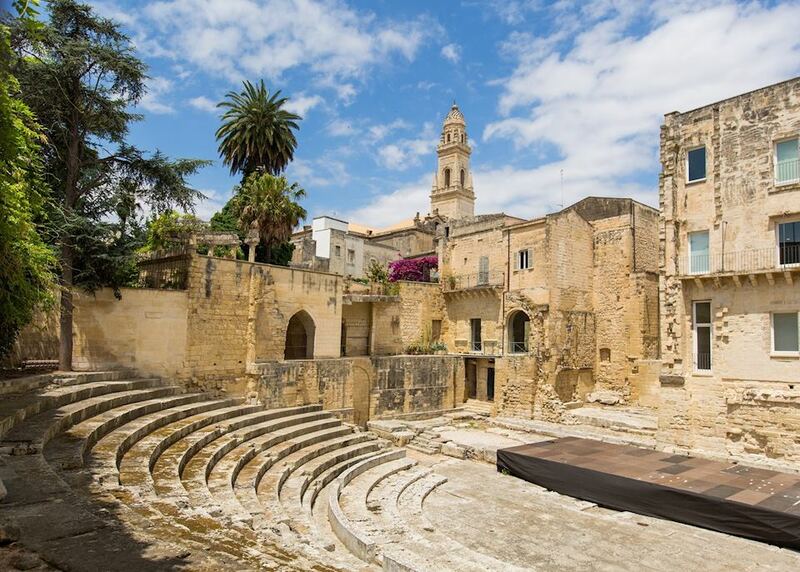 Today you begin your journey by boarding your international outbound flight to Bari. 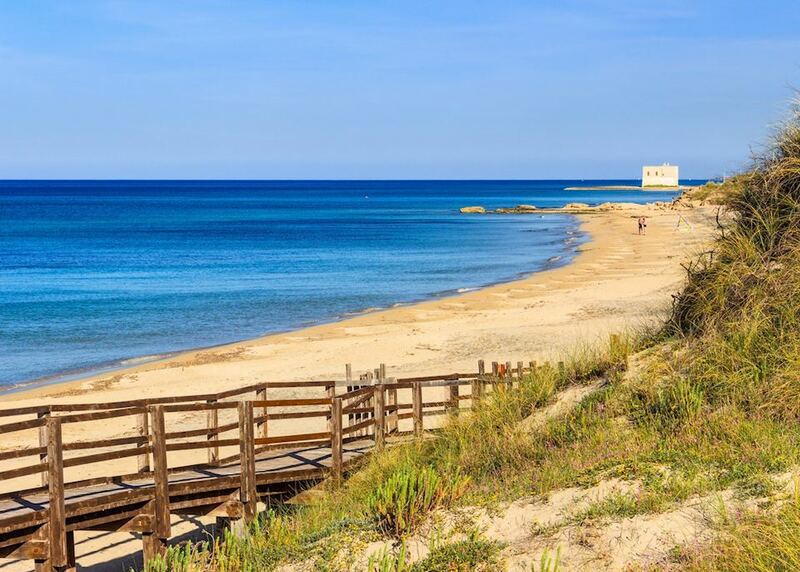 On arrival at Bari, you're met by your private driver and driven to your hotel. You have the rest of the day free to settle into your hotel and explore the city. 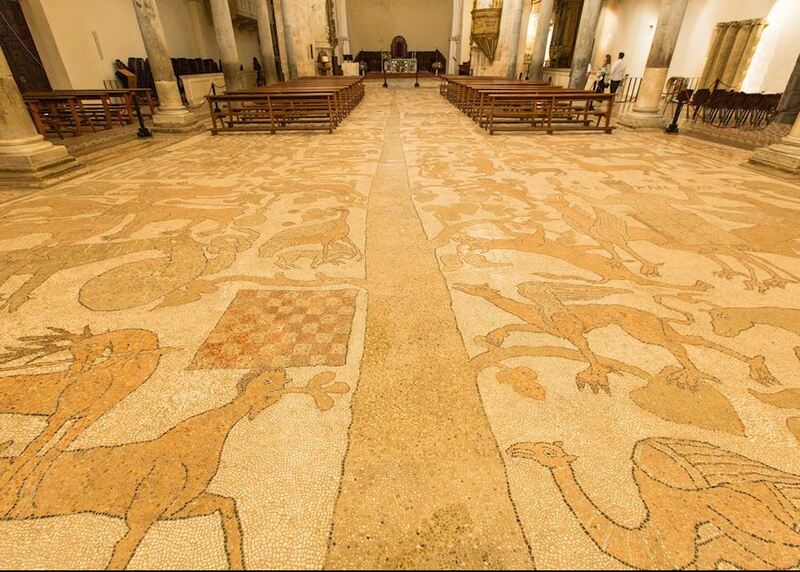 You may want to visit one of the many museums or churches. 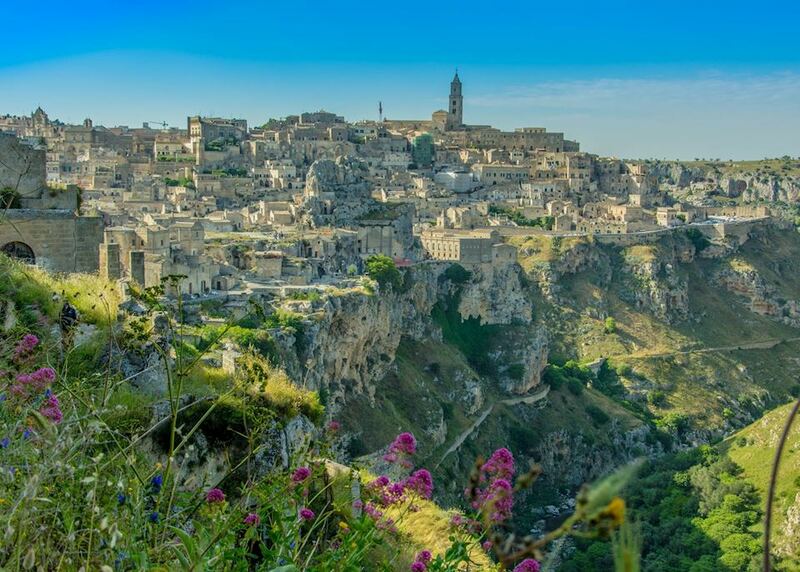 This morning, you're met in the hotel by your private guide to begin a walking tour exploring the alluring cave town of Matera. 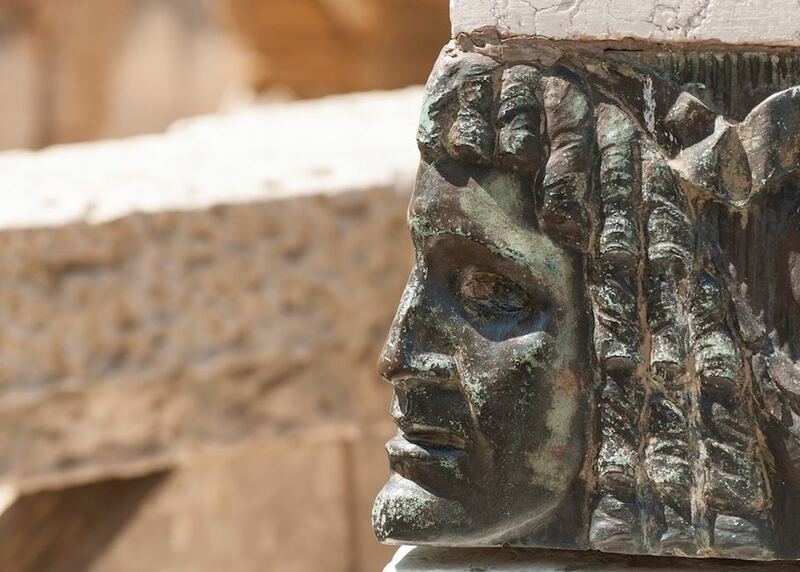 Learn about the turbulent local history while navigating the maze-like stairs and alleyways. 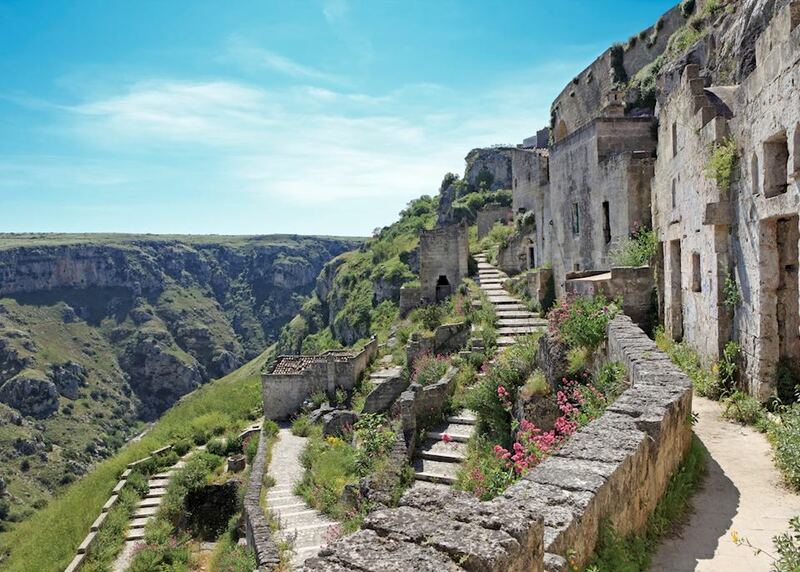 Finish with some local food tasting before meeting with your driver and journeying into the countryside, and onto the ghost town of Craco. You're met here by a specialist guide who will take you on an exploration of the ghost city, which was destroyed by a landslide. 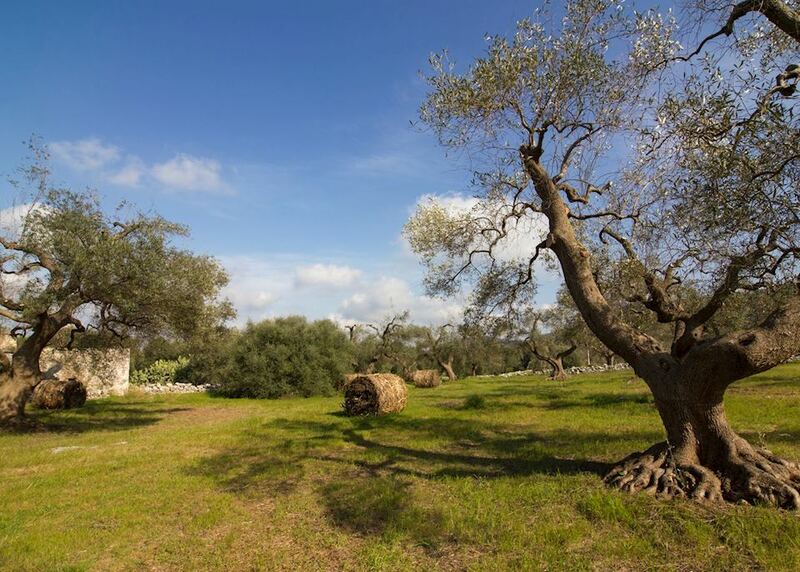 This morning, your driver will take you across the border into Puglia and onto your hotel in Fasano. 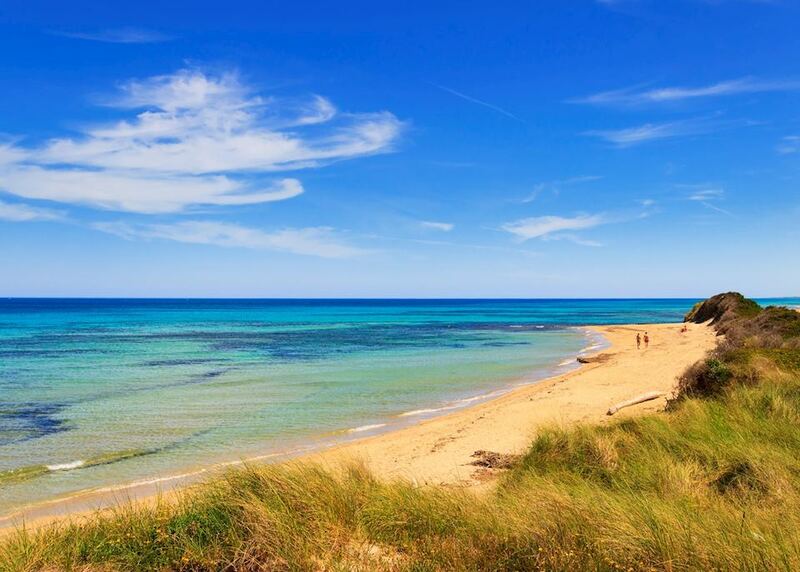 The rest of the day is at leisure to enjoy the hotel or visit the local beach. 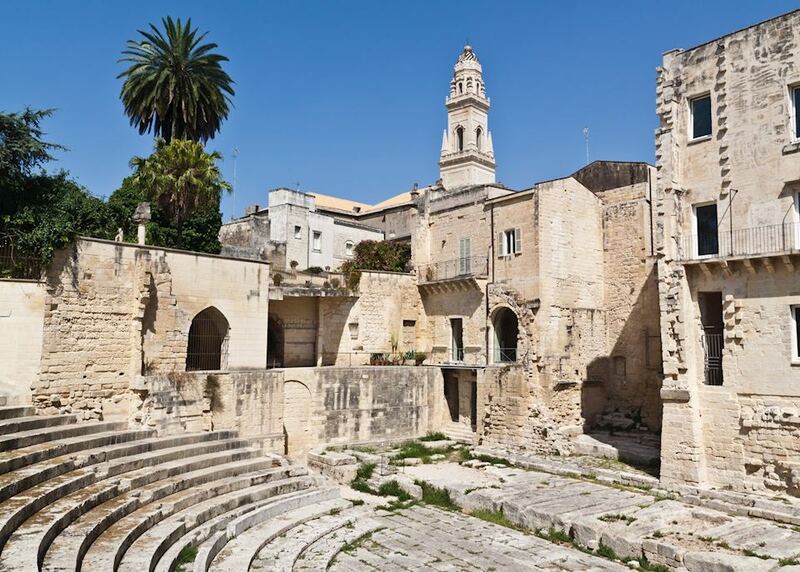 Today, you're met by your private guide and driver and travel to the port town of Bari, which is the region's capital. 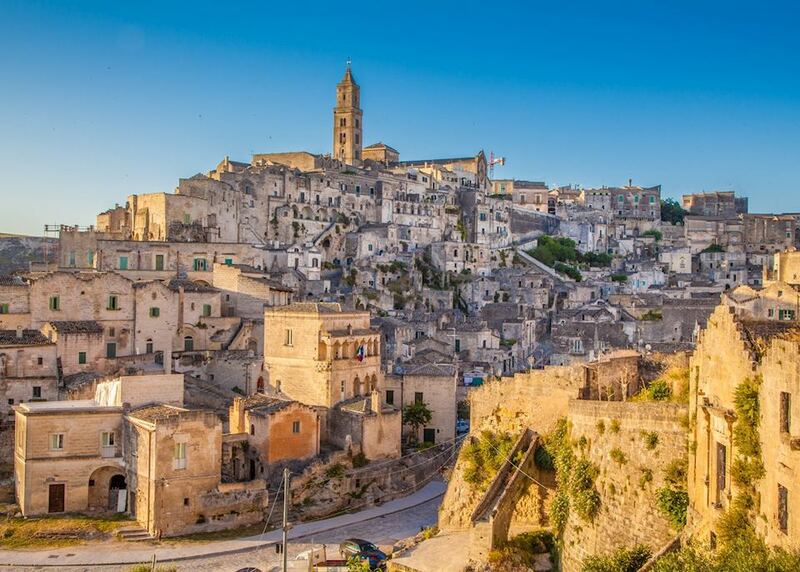 Explore the historic old town while sampling some local Puglian food. 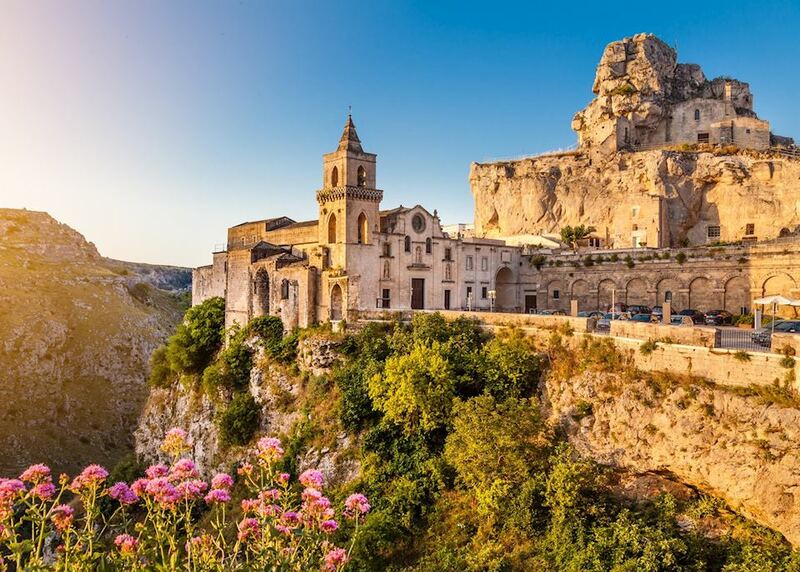 Afterwards, journey through seemingly endless olive groves until you reach Castel Del Monte, an elevated castle with origins that remain a mystery today. 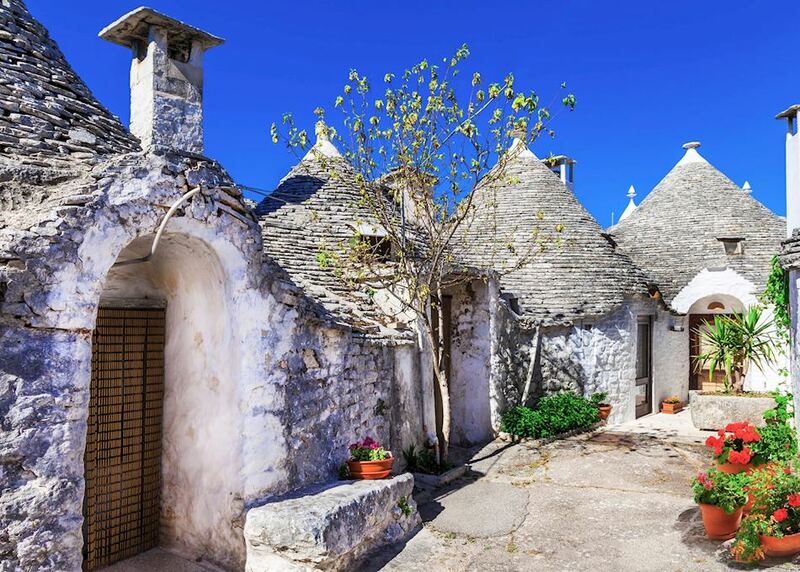 This morning, meet with your private guide and driver and journey to the trulli town of Alberobello. 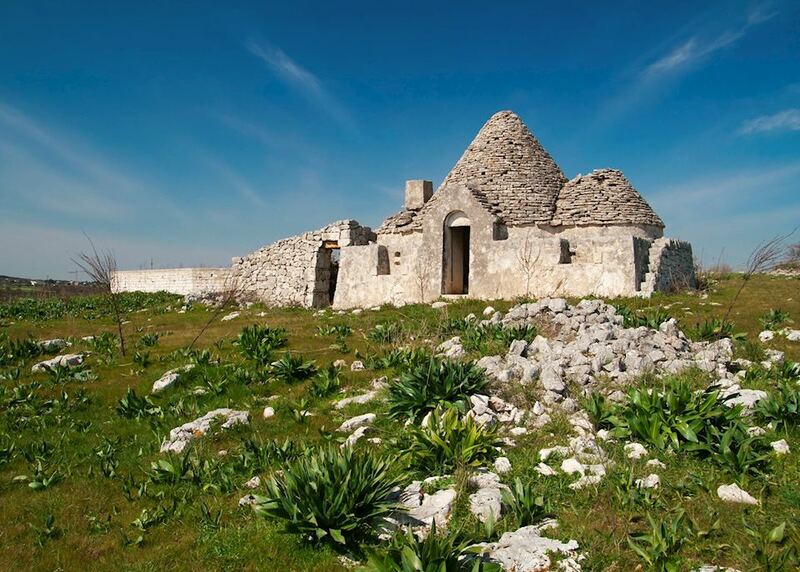 Explore both sides of the town, filled with strange, conical trulli houses. 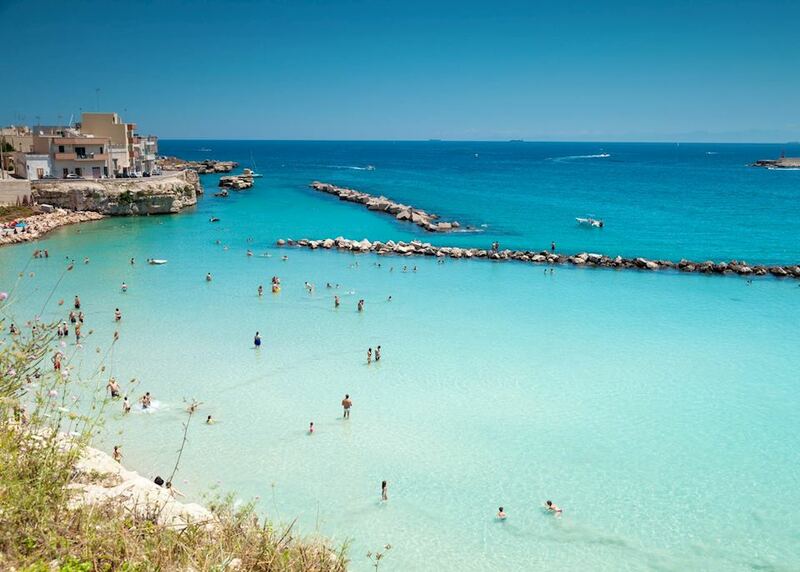 Next, visit the seaside town of Pogliano a Mare, which seems to cling precariously onto the rocks above the sea. Explore the village before returning to your hotel. 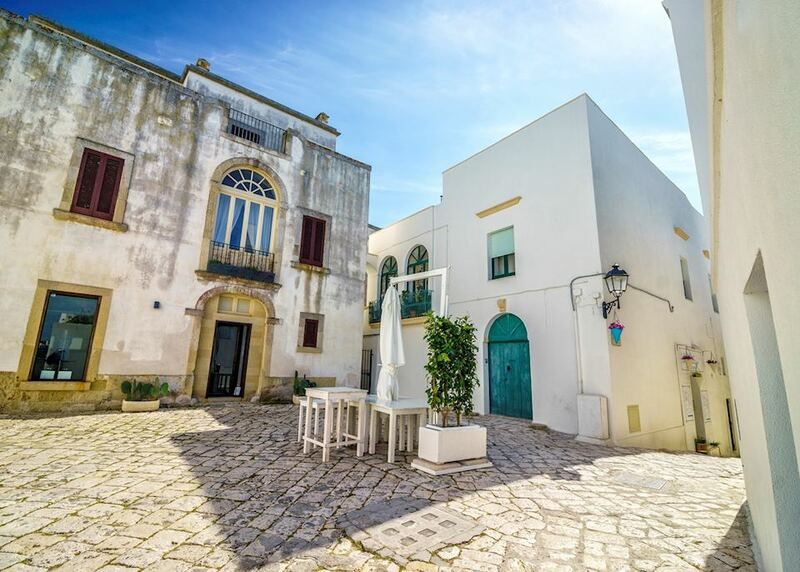 Today, your driver will take you to the village of Ostuni, where you will meet your private guide. 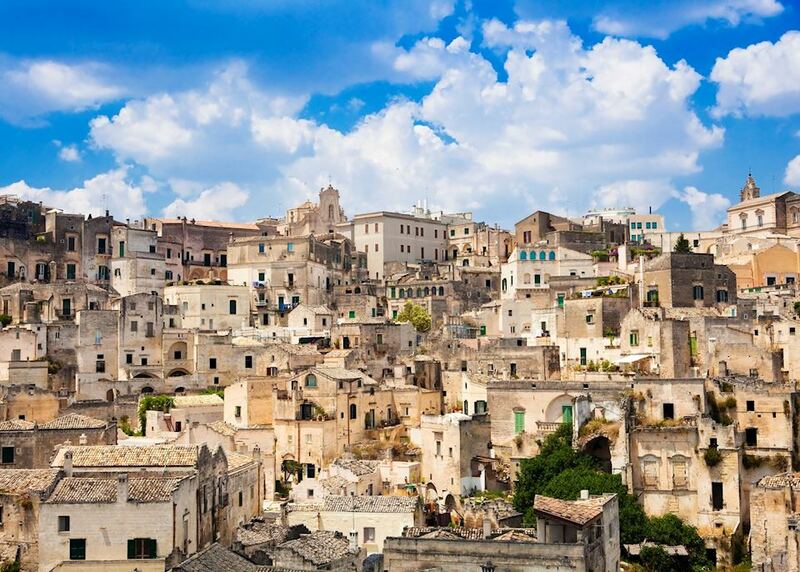 Ostuni is a town painted in white, perched on the top of a hill overlooking the sea and expansive olive groves. 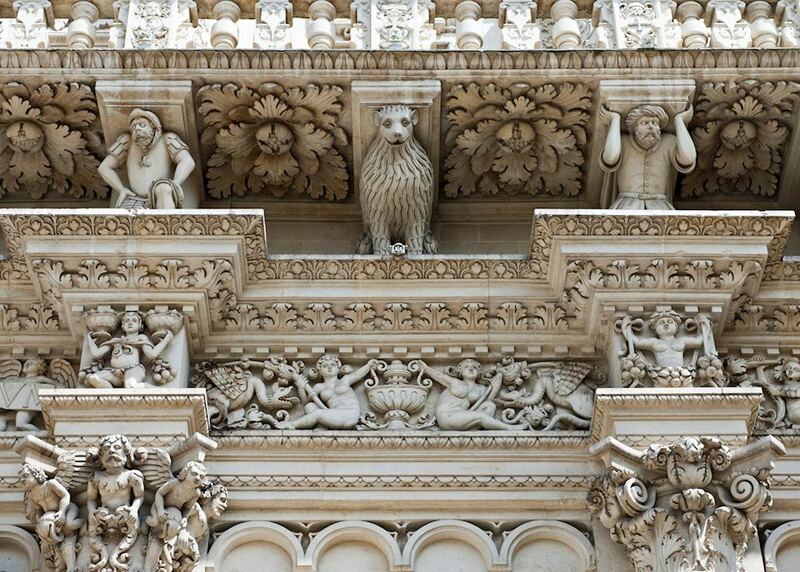 Explore the narrow streets filled with painted balconies and plants before reaching the cathedral at the top. 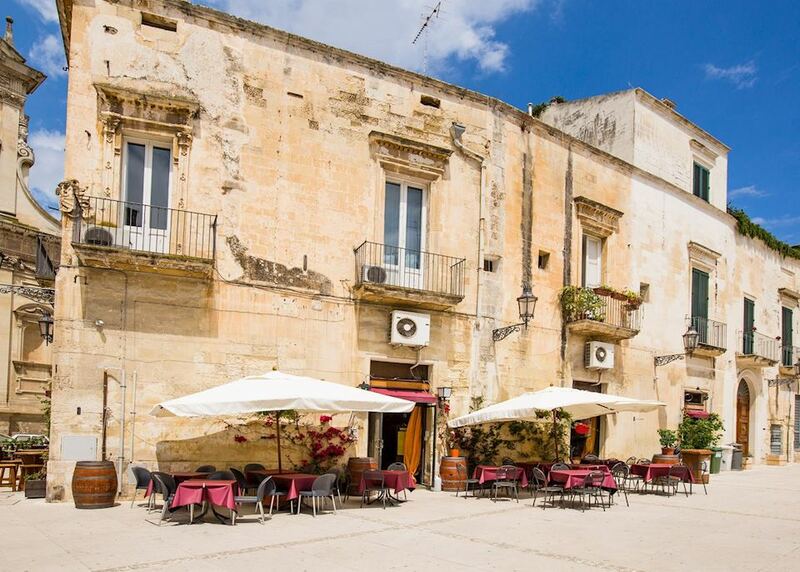 Afterwards, continue south to the Baroque town of Lecce. 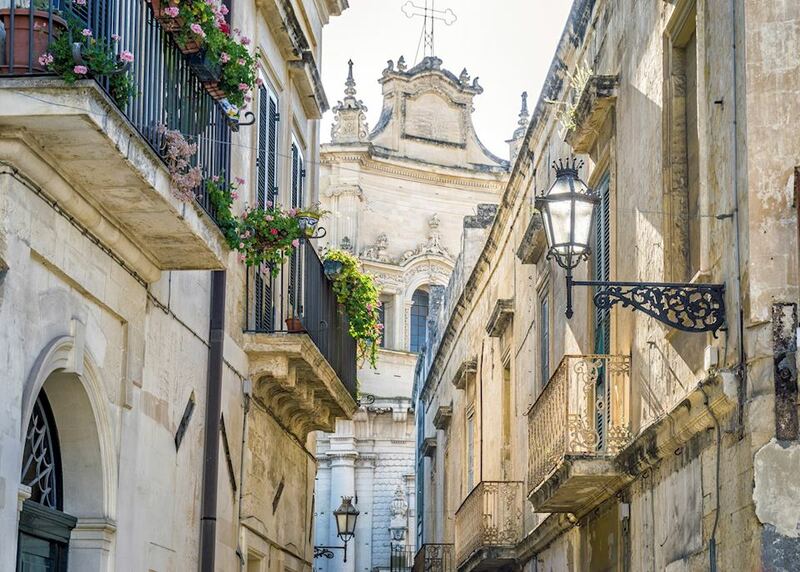 This morning, you're met by a specialist cycling guide to take you on a cycling tour of the Baroque town of Lecce. Navigate the streets with your guide, while making stops at some of the most important landmarks of the city. 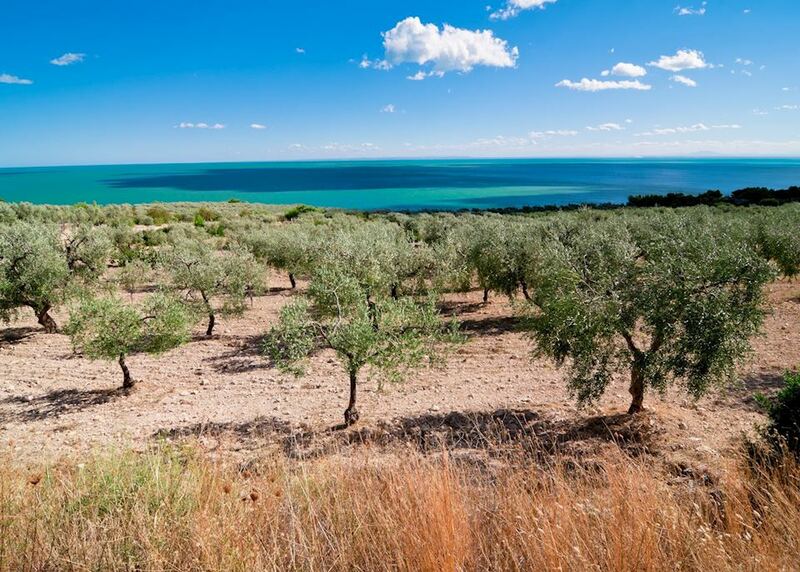 Just before finishing the tour, indulge in a tasting of local olive oils and wines. 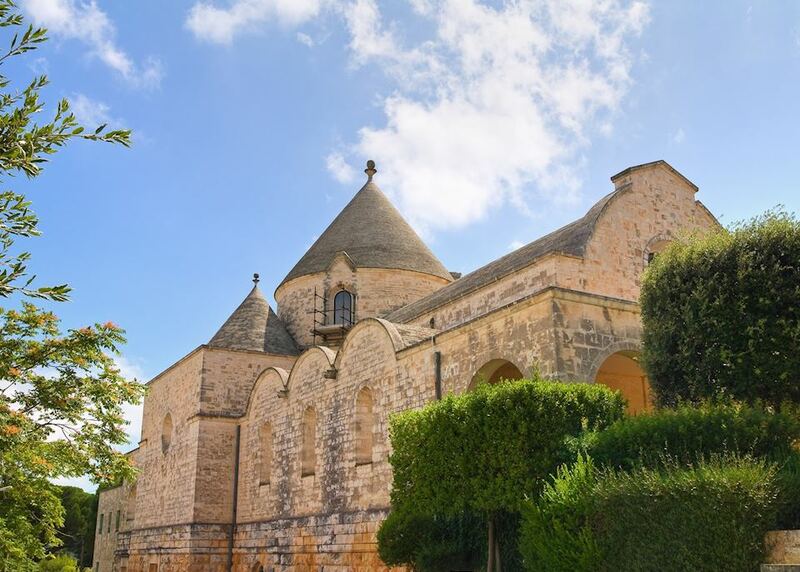 The rest of the day is at leisure to further explore the Baroque architecture or one of the town's many museums. 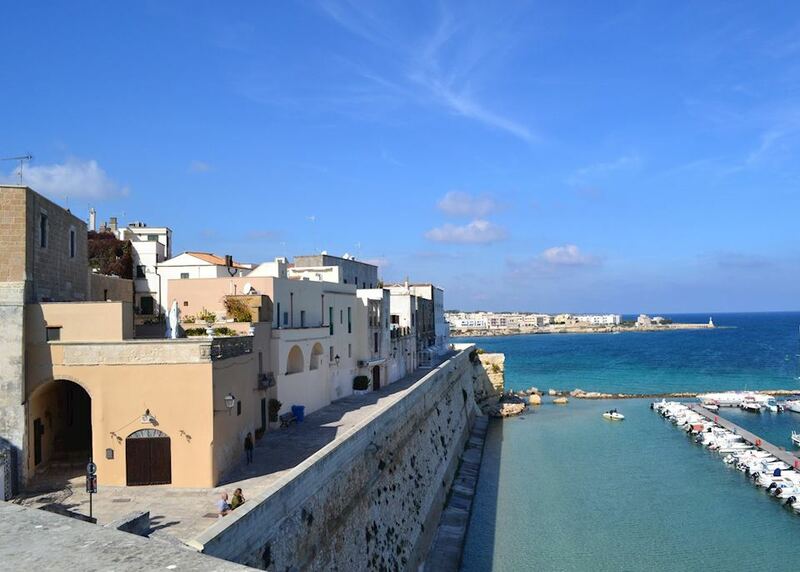 Today you're met by your driver and transferred further south to the town of Otranto. 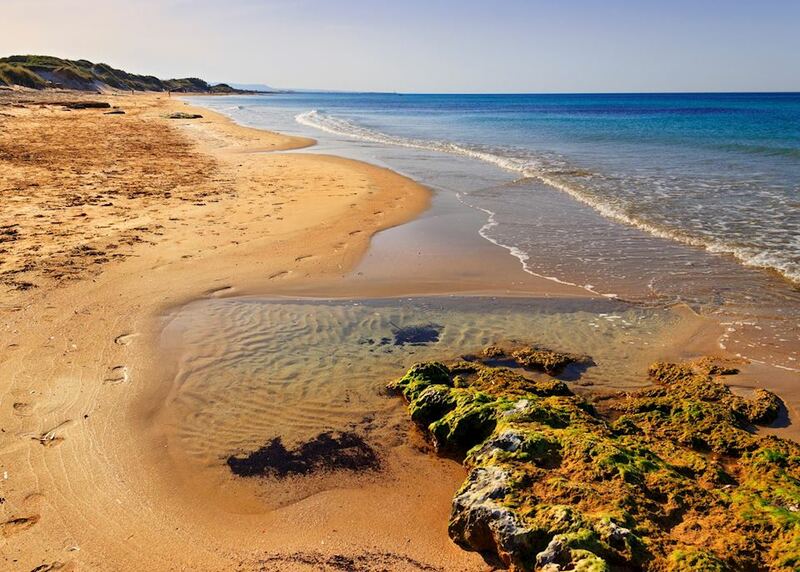 The rest of the day is free to enjoy the hotel facilities or explore the seaside town and local beach. This morning, you're met by your private guide and driver at the hotel. 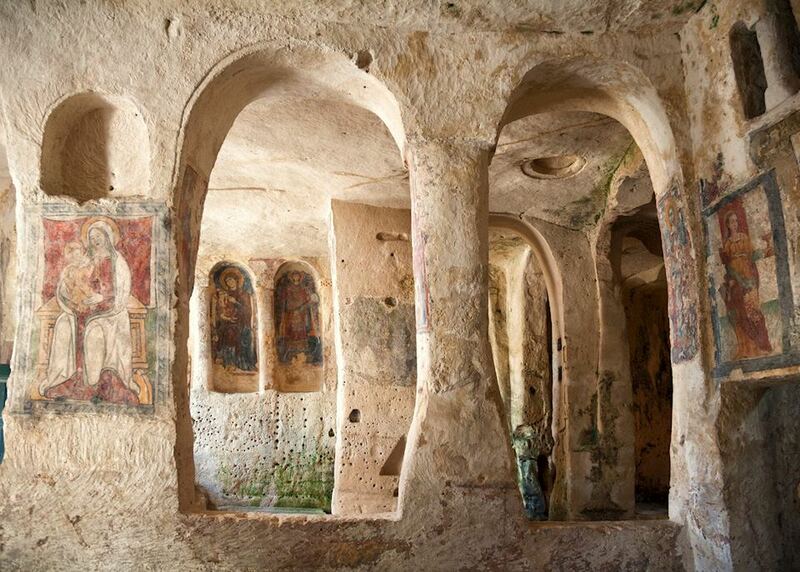 Upon arrival in Galatina, explore the 13th-century Santa Caterina church, which boasts well preserved Giotto-style frescos. 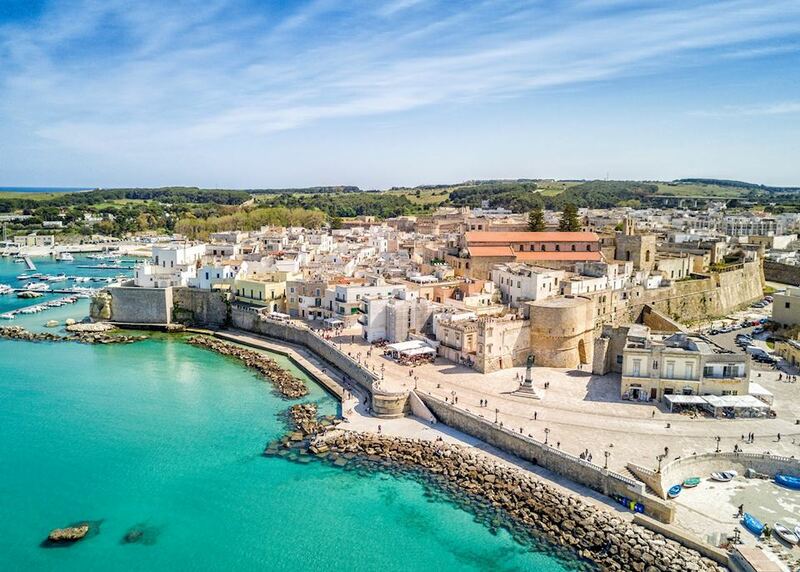 After your visit here, travel back to Otranto, exploring the old town sites, including the cathedral, which contains 12th-century mosaics. 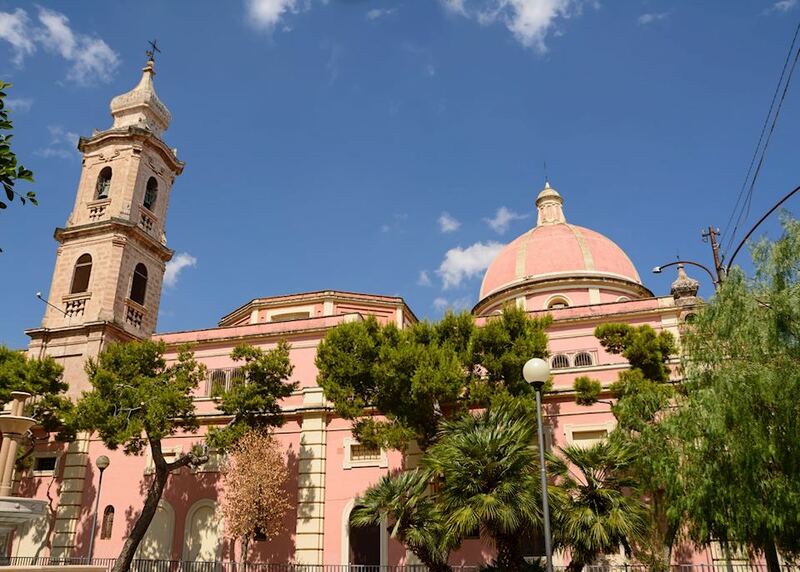 Your private driver brings you to Brindisi airport for your onward flight. Your return flight will arrive the same day.